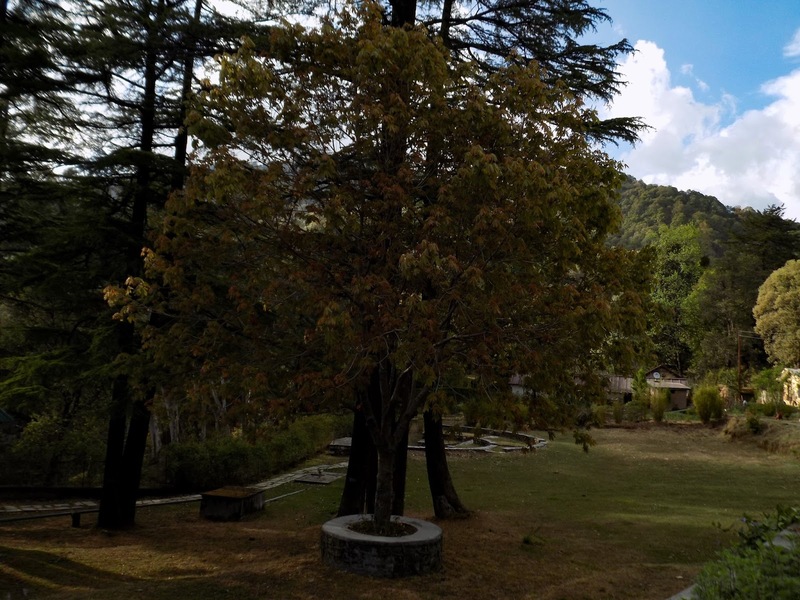 Mahesh khan frh booking, Mahesh khan Nainital, Mountain birding lodge Mahesh khan, Mahesh khan forest rest house, Mahesh khan forest reserve, Mahesh khan Bhowali range | Uttarakhand Travel Guide | Travel guide & Adventure guide in Nainital. 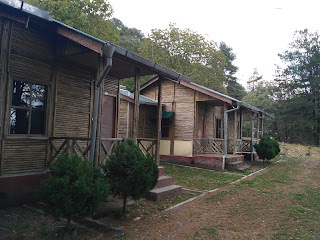 Mahesh khan Forest rest house situated in a middle of extreme dense forest. It is positioned at an elevation of 2050 meters height above the sea level. Mahesh khan is situated at 12 kms from Bhowali town in Bhowali- Mukteshwar road. 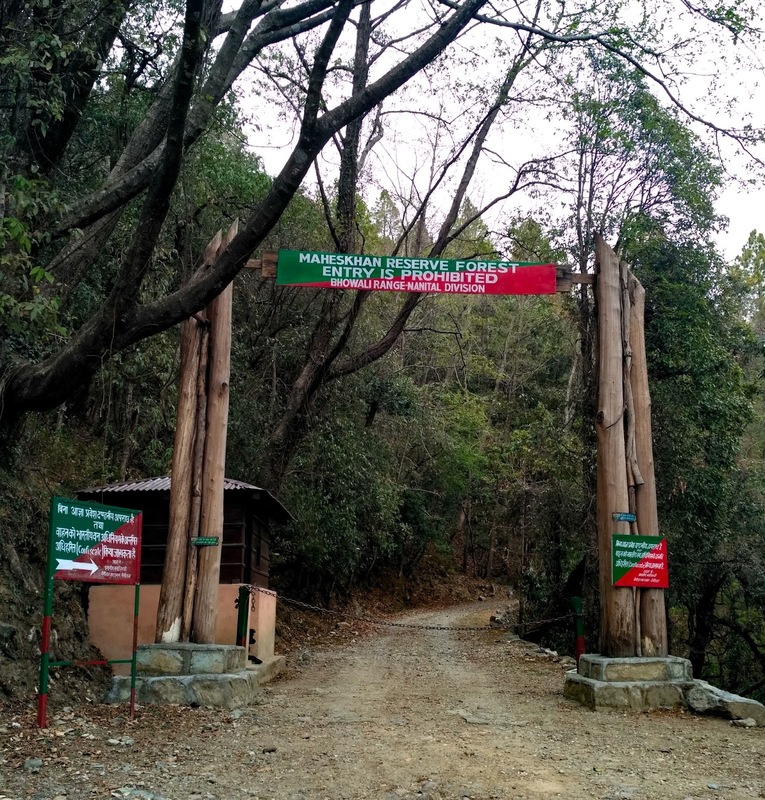 The route to Mahesh khan bifurcates near to Shyamkhet; 8 kms from Bhowali, from there an unpaved road leads to Mahesh khan forest house ( as seen in the above image). This place got its name from Shri Rabindranath Tagore, the Nobel laureate used to stay here and named his house Mahesh khan that translates into Abode of Lord Shiva. Noble laureate compiled some parts of his award winning "Geetanjali" here in the Mahesh khan, the ruins of his found can still be found here. And you can see the proof of his stay here in one of the old log books that is used for visitors. What's so interesting is that it was here in the forests of Mahesh khan, Jim Corbett killed his first man eater tiger. 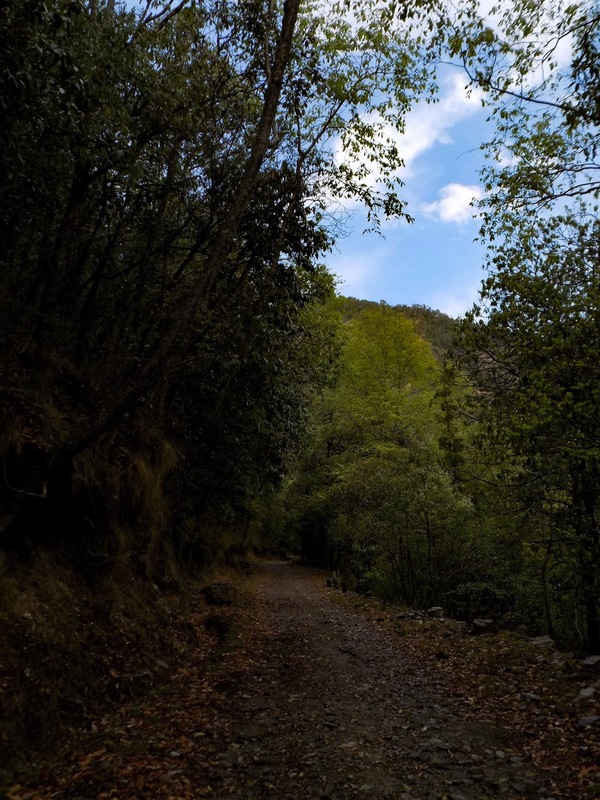 There is a very thick forest in Mahesh khan area and animals like leopards, deers, sambhars, tigers, black bears can easily be spotted in Mahesh khan. There are numerous water streams that attracts a lot of wildlife. 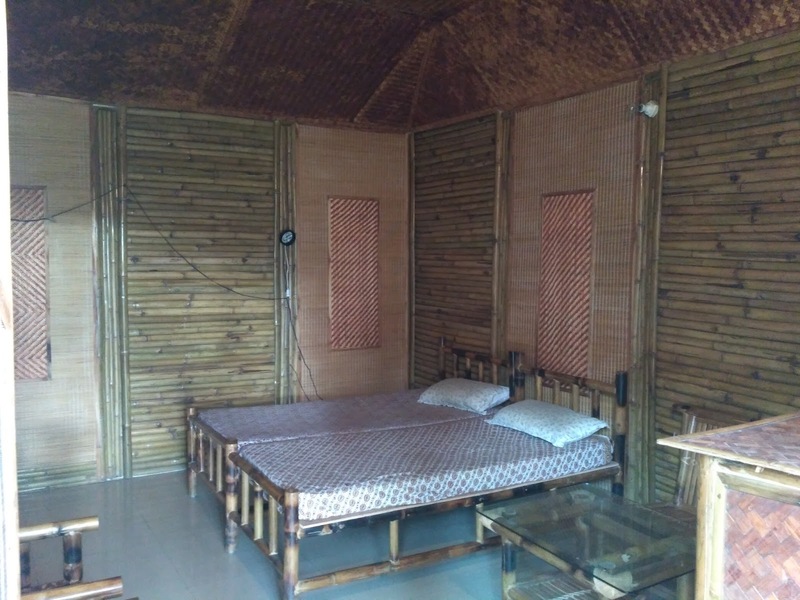 Mahesh khan is an ideal location for those who want to spend some good time in the lap of nature. Staying at the Mahesh khan's forest rest house is a memorable experience in itself and the tranquility surrounding the rest houses add flavors to that experience. Being completely in the middle of nowhere, this place has a lot to offer to adventure seekers. Bird Watching- Mahesh khan is known as one of the best locations for birdwatching in whole Nainital District. There are more than 200 species of birds in those lush green forests of Mahesh khan. 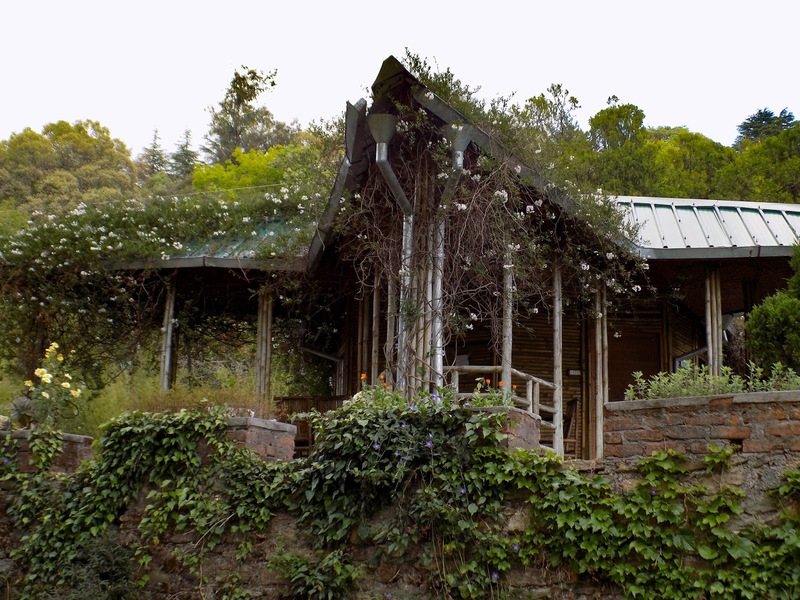 The environment that Mahesh khan possess' is best for flourishing diverse flora and fauna. 2. Bamboo houses- Staying in those bamboo houses is an enchanting experience. The rest house area is wholly surrounded with lush green forests of Oak & deodar only. There is a wide view of several mountains in front of Forest Rest House which make every effort to compete with the beauty of Mahesh khan. 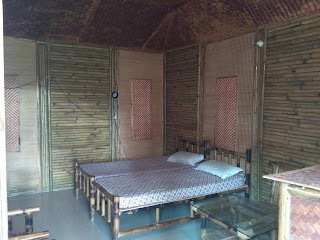 There is a Tree House (Machaan) in the premises of Rest house as well, beholding the quiet ambience with a cup of tea and your soulmate by your side is a wonderful experience in itself. 3. Trekking& Camping- The highest point of Mahesh Khan, i.e. 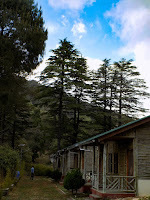 Tagore Top is a short one day trek from Mahesh khan Rest house. This trek is a 3 kilometer uphill journey from Mahesh khan.Tagore Top is the same place where Nobel Laureate Shri Rabindranath Tagore stayed. 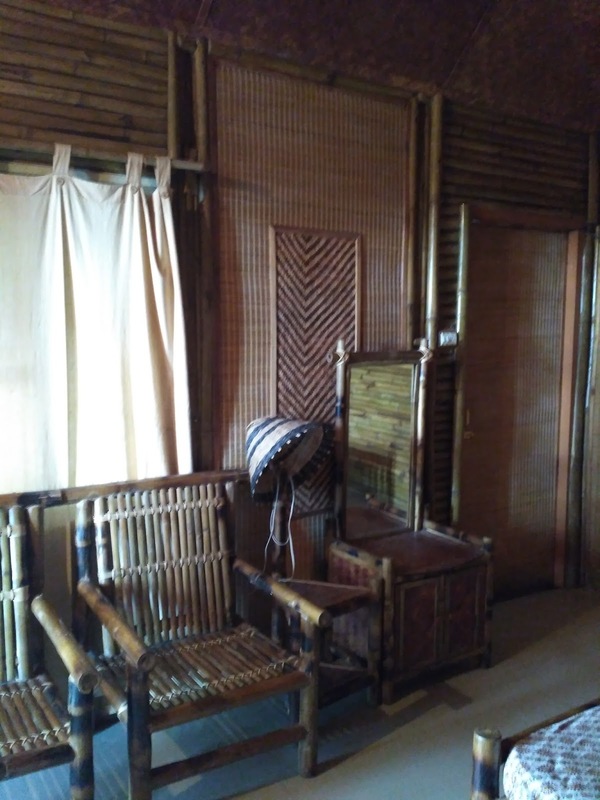 The poet stayed here in year 1903 and again returned here in year 1914, 1927 and 1937. He wrote parts of his masterpiece Geetanjali amidst the tranquil surroundings of these Himalayan foothills. Nainital also 18 kms from Mahesh khan. Mahesh khan is situated at an altitude of 2100 metres above the sea level and is surrounded by coniferous forests of oak and deodar, so naturally there is a cool temperature in Mahesh khan forest rest house and gets pleasant in April to June. There is a misconception among many people that Mahesh khan Nainital is a resort and can be booked at any time but this is not the truth, it is very hard to book Mahesh Khan, Mahesh Khan forest reserve is especially meant for high profiled government officials and major political leaders of India. Mahesh Khan holds every right to cancel a booking of an ordinary citizen if there is a visit of any government official on that particular date. This place seems to be abubdant of tranquility and peace. i want to book 2 rooms in this guest house, pls guide me the procedure. bookings are done in the DFO office Nainital, which is located in the premises of Nainital Zoo, although Mahesh khan rest house if meant for officials of FOrest department, but if you have any links with the higher authorities of forest departments or with the leaders of the ruling parties or with any renowned personality then you can easily get a room there.